Great hostel to stay in. Friendly staff (Alex was very helpful and happy to help me). Would defentely come back to this hostel. Great staff with a very welcoming atmosphere. Close to beach, large and small lockers, and complimentary breakfast. Can’t beat it! 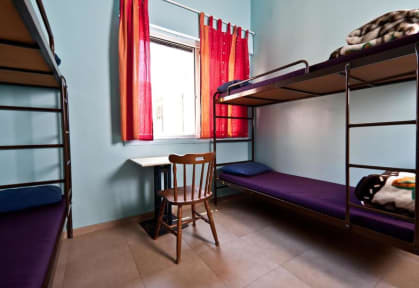 Great hostel based on my hostel experiences! Good location, one block from the beach. Facilities are a little old, but everything worked fine and the staff were nice and helpful. 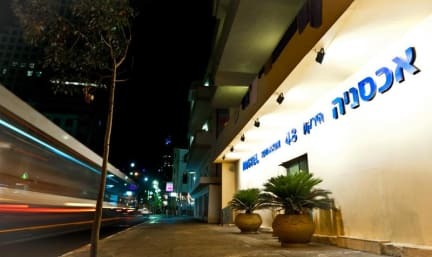 Tel Aviv is a beautiful city and this hostel is just a block from the beach! Our stay included breakfasts, which is much appreciated in such an expensive city. The staff was very friendly and some were quite helpful! But there is no elevator (im 68 and my room was on 4th floor) and no bar. A bigger concern to me, though, was that my room had a shared balcony and no way to lock the door from my room! I mentioned it to reception and they said that they’d call maintenance, but nobody ever came. Decent place with good atmosphere of people. Bathrooms and showers were a bit dirty. And some staff is a bit unhelpful. Very noisy! Beds need to be replaced. Location is excellent! Dirty, unsafe, bed hard as rock, smelly.